Felix is a 10 years old timid and quiet child who lives with his uncle Eddie near the sea in Ireland. They aren’t poor per se, but they’re far from being wealthy. Uncle Eddie works in a local corner bar where someone is stealing supplies. Mr. Kennedy, the owner threatens to fire Eddie and the rest of the workers if the stealings continue. Eddie is worried. What would happen to Felix when he’s unemployed? He won’t be able to pay rent so he’ll be homeless and Felix would be sent to an orphanage. Uncle Eddie suspects that Hennessy is the culprit. Hennessy works at Felix’s school and helps around the pub on weekends. has friends who help him in his mission. That is only one of the great outcomes that are derived from this stressful situation. This is a lovely suspense story that keeps you on your toes till the last page. It is thrilling although you know who the criminal is right from the start. I love the characters in this story. They are well portrayed. It seems as they come out from the book and feel like flesh and blood. The language might be a little difficult for non-Irish kids, but I find it delightful and full of charm. I was bothered though with the mentioning of the orphanage. It made me think that the story takes place in the 19th century, but since Felix and the other kids have cell phones, this is a contemporary story. Nowadays there are benefits and dole, and central heating. But I guess that the kids who read the story don’t bother with that. 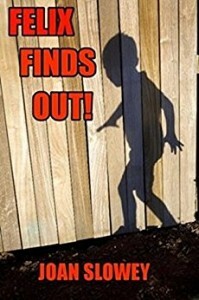 This book is perfect for 10 years old who love mystery stories.